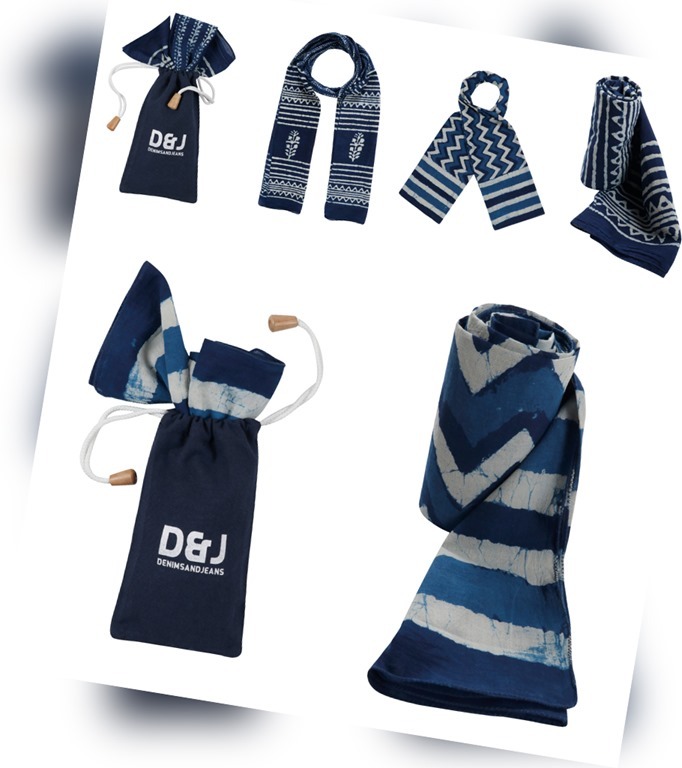 We , as all denim lovers, are in love with Indigo . And when it comes to natural indigo , the feeling is altogether at a different level. 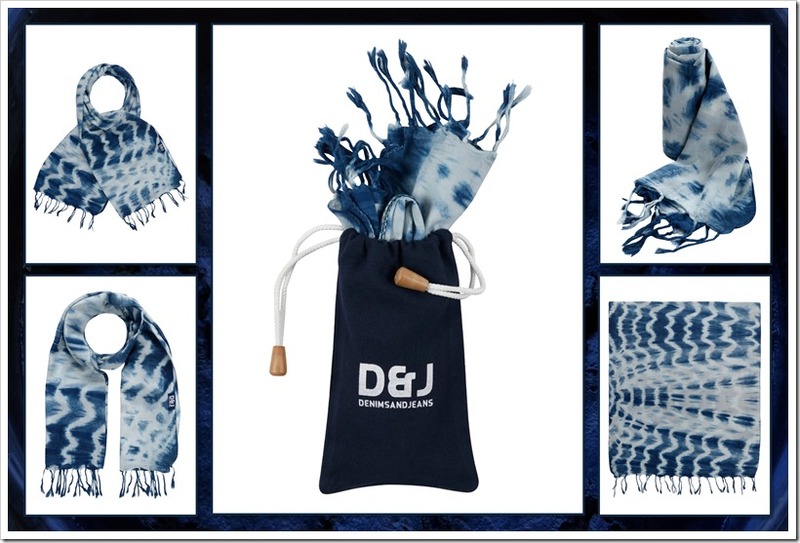 As Denimsandjeans team, we have been in love with this special dye for decades and so are many of us. 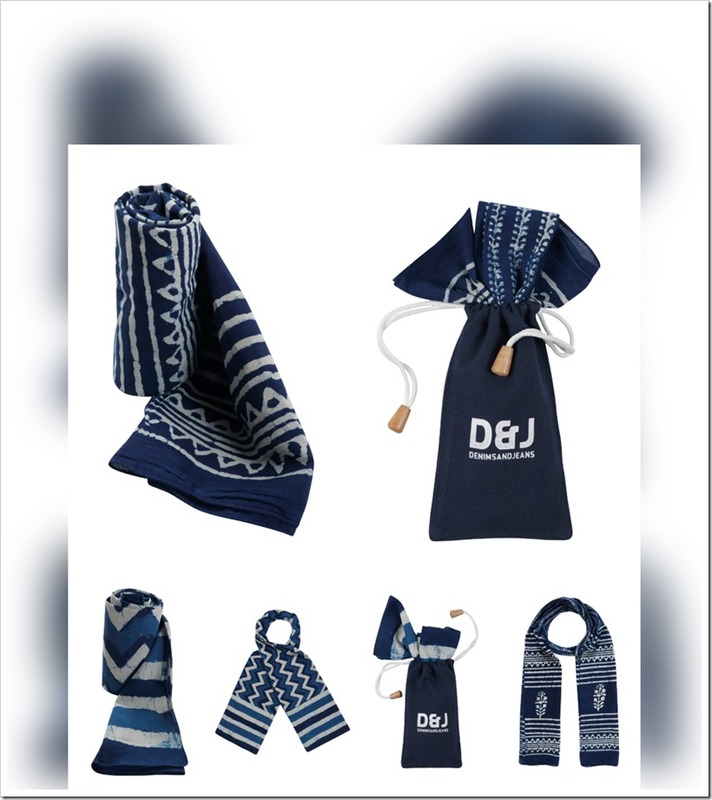 As an expression of our love for natural indigo, we have been long working on to come out with a product which we love and which we feel can be loved by others like us . 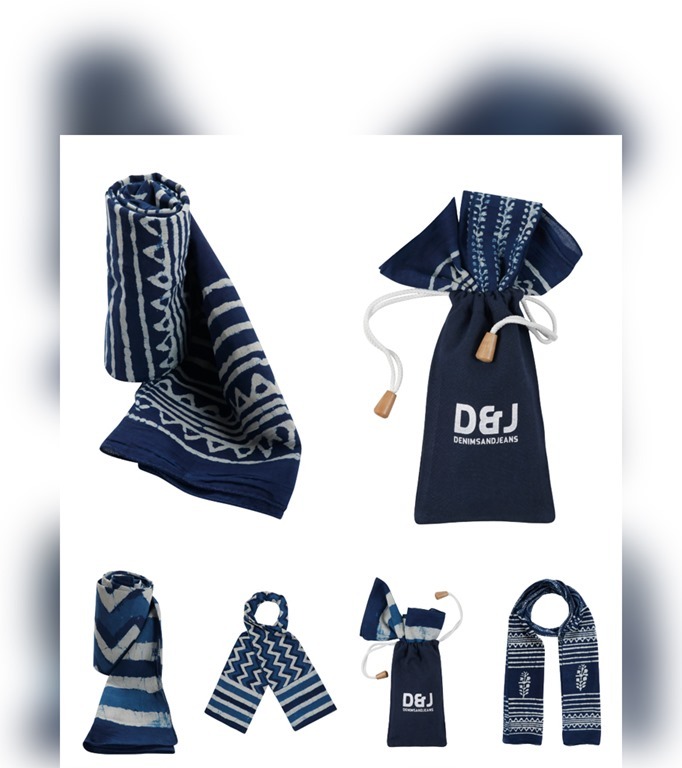 We are happy to announce the launch of our Indigo scarves hand made by artisans in India and bringing forth the legacy of 3000 year old practice and which are available at our E-com site www.shop.denimsandjeans.com bringing together a collection of exclusive block printed designs. 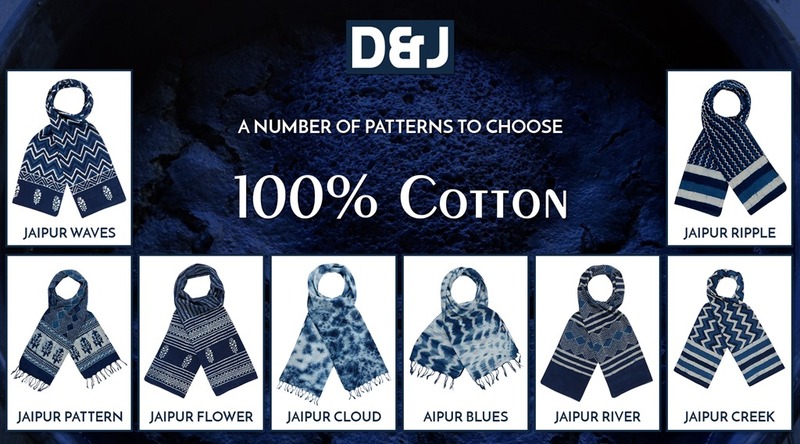 India has a long history of over 3000 years with Indigo and generations have passed the know how of Indigo dyeing to their descendants and the knowledge is still being pursued by few artisan families in different parts of India.Indigo’s name gives its origin away: it simply means ‘the Indian’ or ‘from India.’ But we now know that, besides India, indigo was also used in tropical zones in Africa and China. 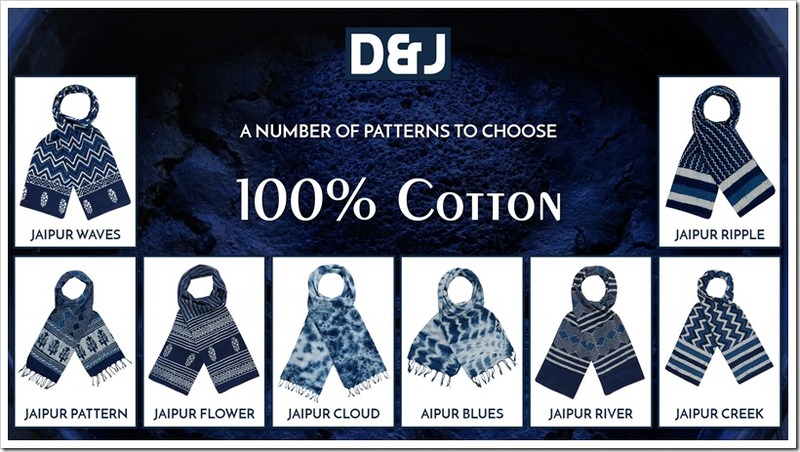 Our ancestors in India, East Asia and Egypt, as well as probably the Maya, used the blue dye derived from the Indigofera Tinctoria plant to dye their clothes. 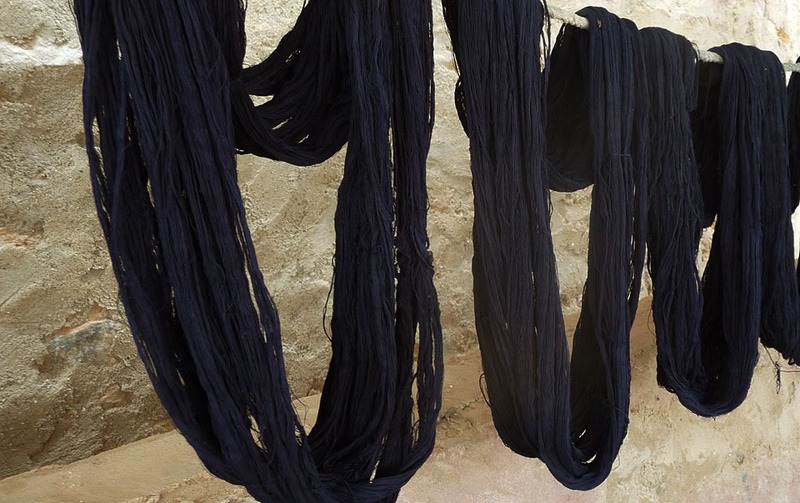 The oldest known fabric dyed indigo dating to 6,000 years ago was discovered in 2009 at Huaca Prieta, Peru.India was a primary supplier of indigo to Europe as early as the Greco-Roman era and Indigo was also a part of India’s freedom struggle as last year we celebrated the centenary year of the Champaran Satyagraha, when Mahatma Gandhi highlighted the woeful plight of Indian farmers who had been forced to cultivate indigo by the British. 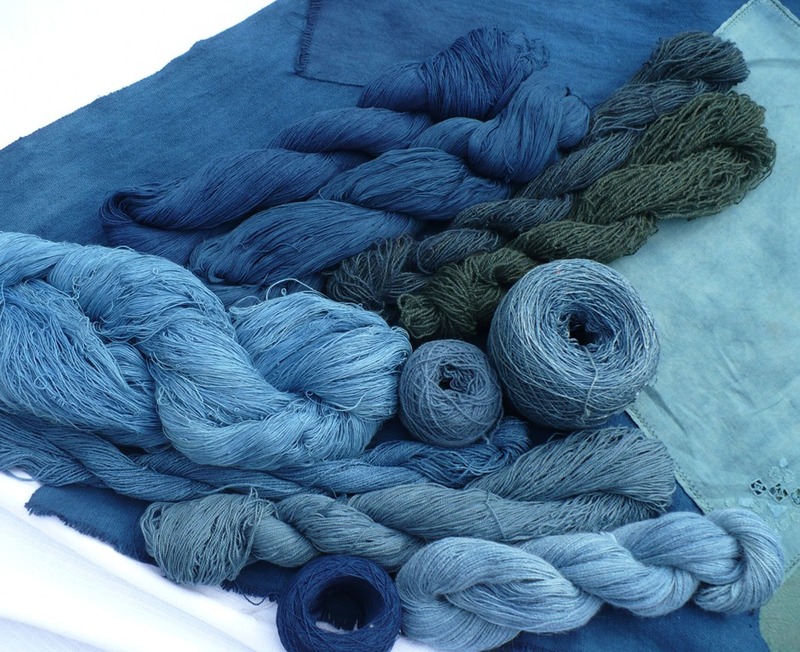 Many plants have been identified as potentially rich in natural dye content and some of them have been used for natural dyeing for quite some time. 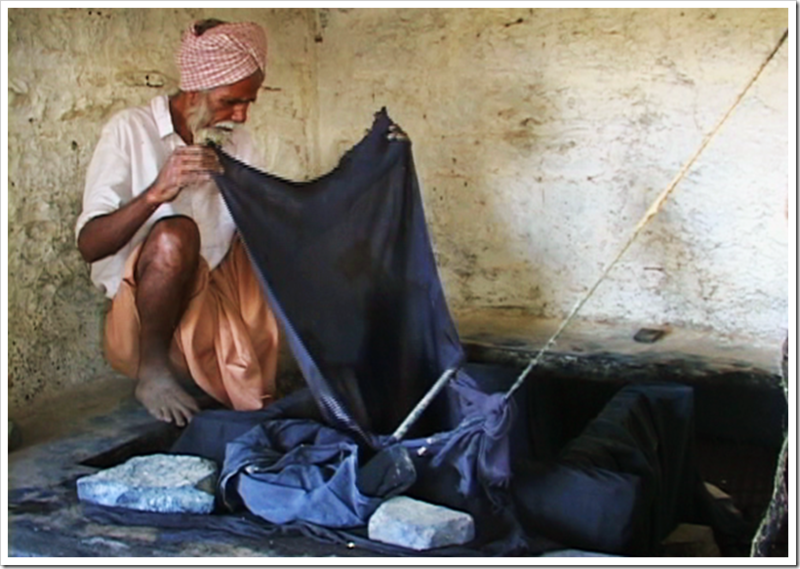 Normally natural dyes are extracted from roots, stems, leaves , flowers and fruit of various plants. In living Indigo plant form , indigo exists as a colourless substance comprised of sugars and indoxyl. Indigo’s seed treatments contain microbes that live within plant tissue, unlike existing microbial seed treatments that contain microbes that live around the roots. 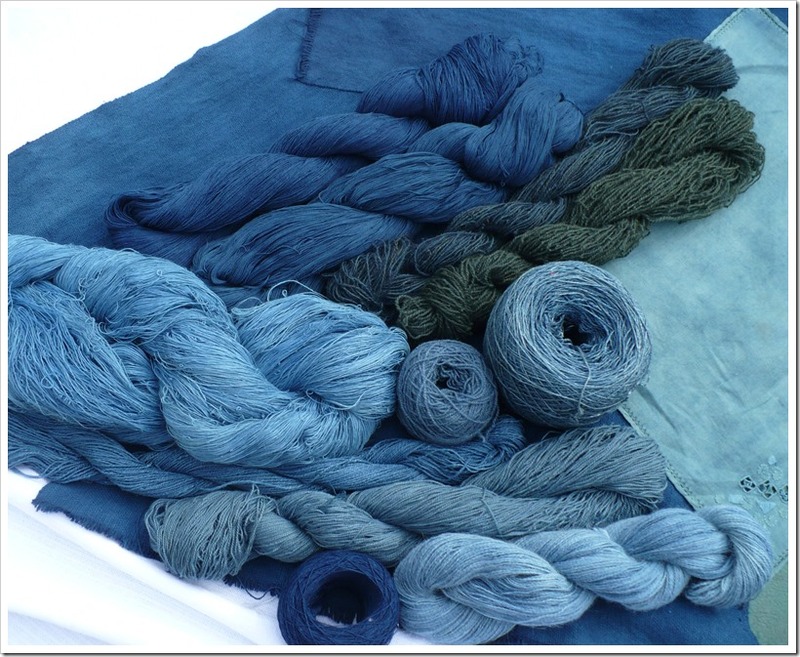 Highest yield of indigo dye was obtained from using 2.0 sodium hydroxide solution. 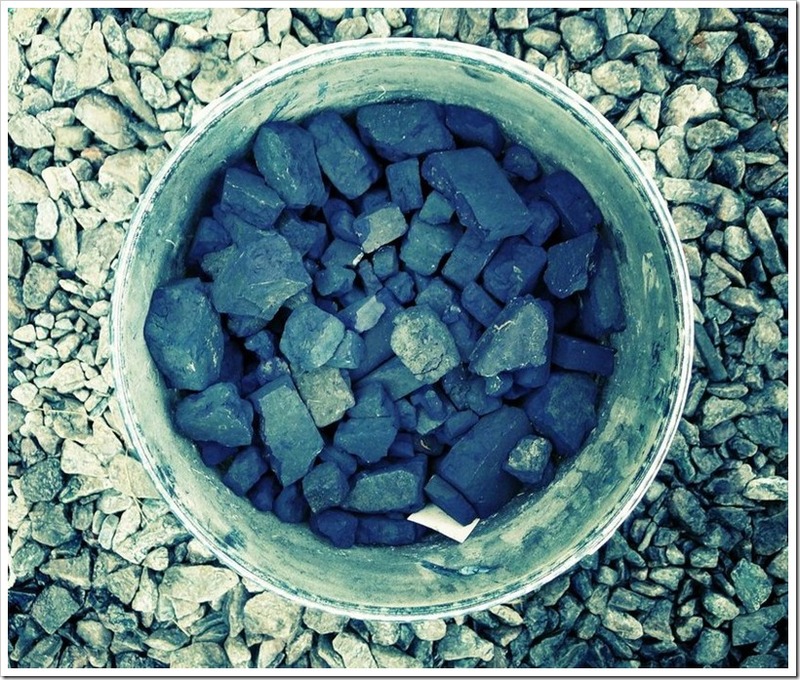 The process of extracting blue colour from green leaves of indigo plant is magical and unique. It involves steps, to be carried out with great timing. 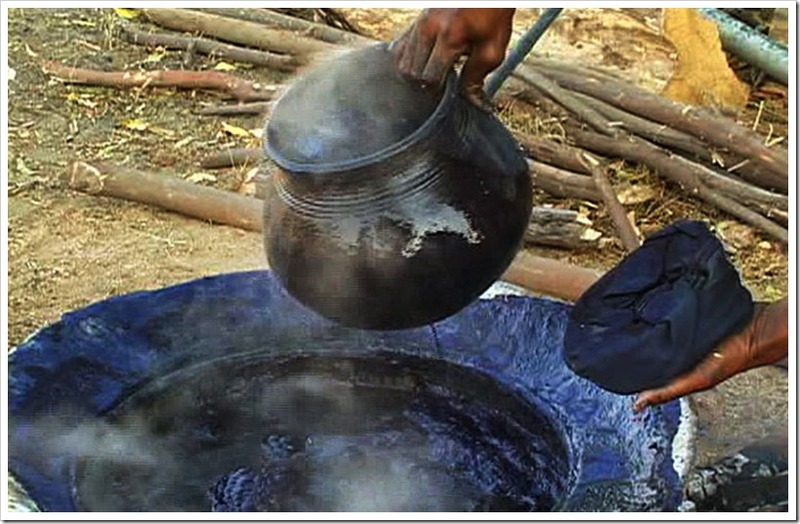 The indigo pigment gets detached from glucose as the leaves are soaked in water and fermented. The leaves are taken out , leaving indigo white in the water, which when exposed to air gives out the blue colour. 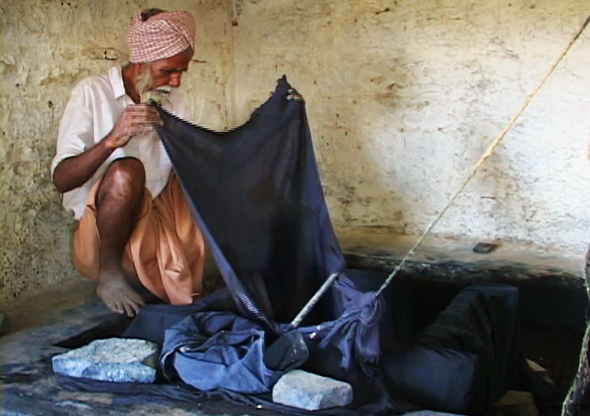 This blue colour of indigo remains hidden until the leaf of indigo plant is fermented. 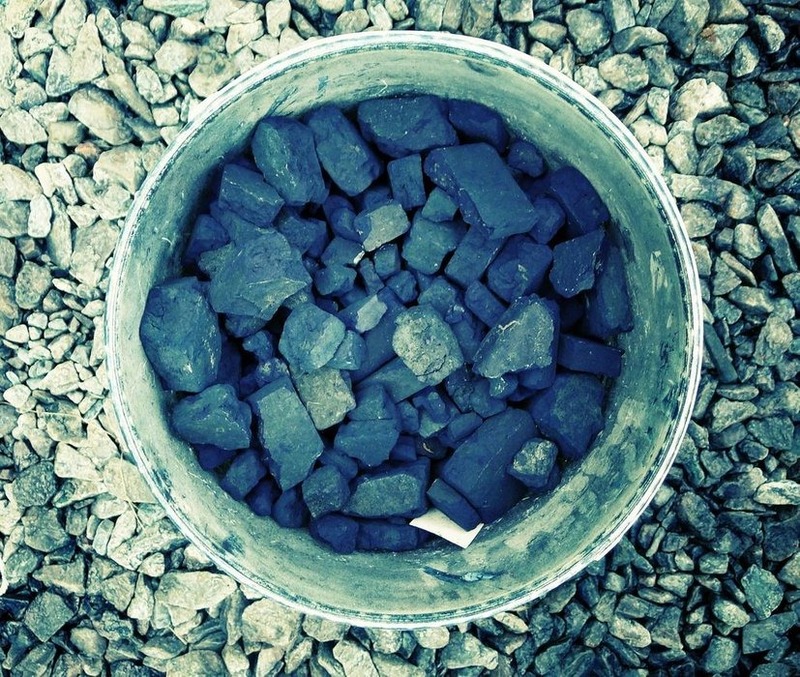 After the water is whisked properly, the blue colour settles down forming watery clay. 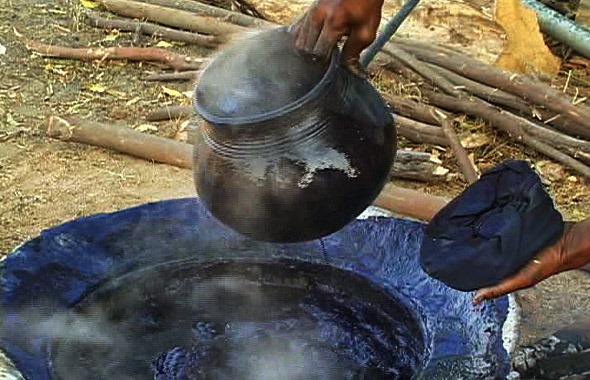 This sludge is then heated or sundried to be made in to cakes.The indigo seed is sown about the end of February or beginning of March, it germinate in the course of four to five days and at the middle of June the plant can obtained a height between 3 and 5 feet and has a stem of about a quarter of an inch in diameter as the plant grows. The coloring principle gradually increases until it reaches a maximum about the end of August. 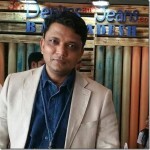 Demand for indigo dramatically increased during the industrial revolution, in part due to the popularity of Levi Strauss’s blue denim jeans. The natural extraction process was expensive and could not produce the mass quantities required for the burgeoning garment industry. So chemists began searching for synthetic methods of producing the dye. In 1883 Adolf Von Bayer (of Bayer aspirin fame) researched indigo’s chemical structure. He found that he could treat omega-bromoacetanilide with an alkali (a substance that is high in pH) to produce oxindole. Later, based on this observation, K. Heumann identified a synthesis pathway to produce indigo. Within 14 years their work resulted in the first commercial production of the synthetic dye. In 1905 Bayer was awarded the Nobel Prize for his discovery. The synthesis of N-(2-carboxyphenyl) glycine from the easy to obtain aniline provided a new and economically attractive route. 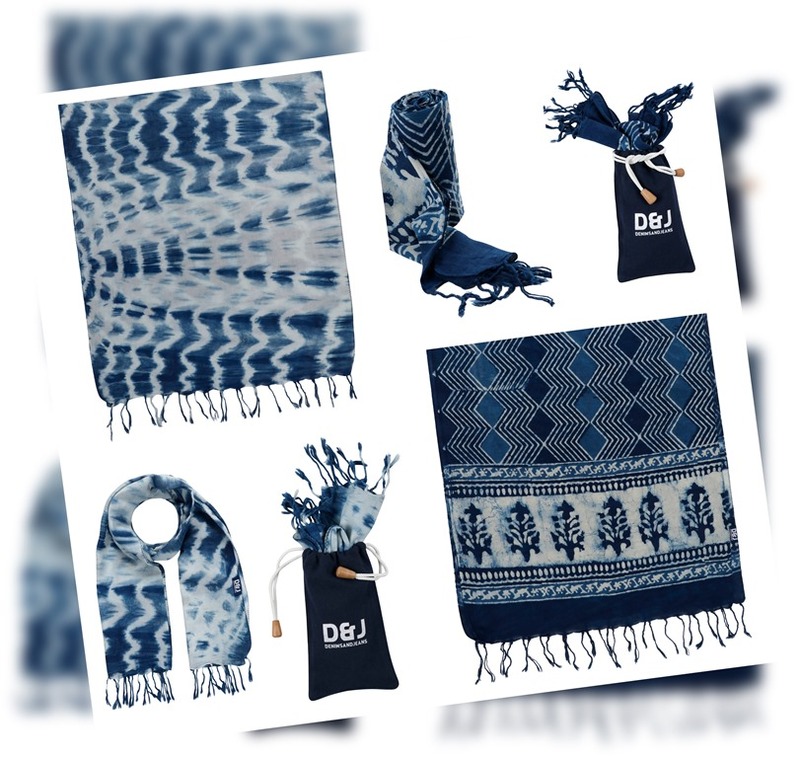 BASF developed a commercially feasible manufacturing process that was in use by 1897, at which time 19,000 tons of indigo were being produced from plant sources. By 1914 this had dropped to 1,000 tons by 1914 and continued to contract. 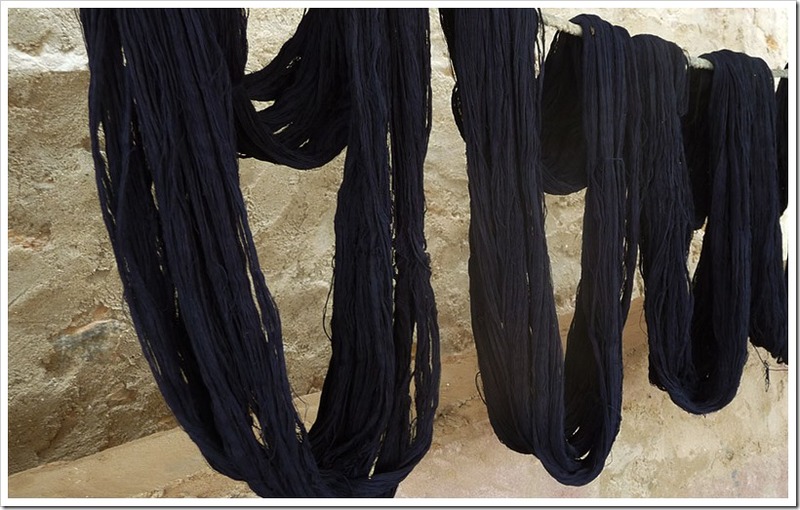 In last few decades the usage of Natural Indigo dye has almost finished. 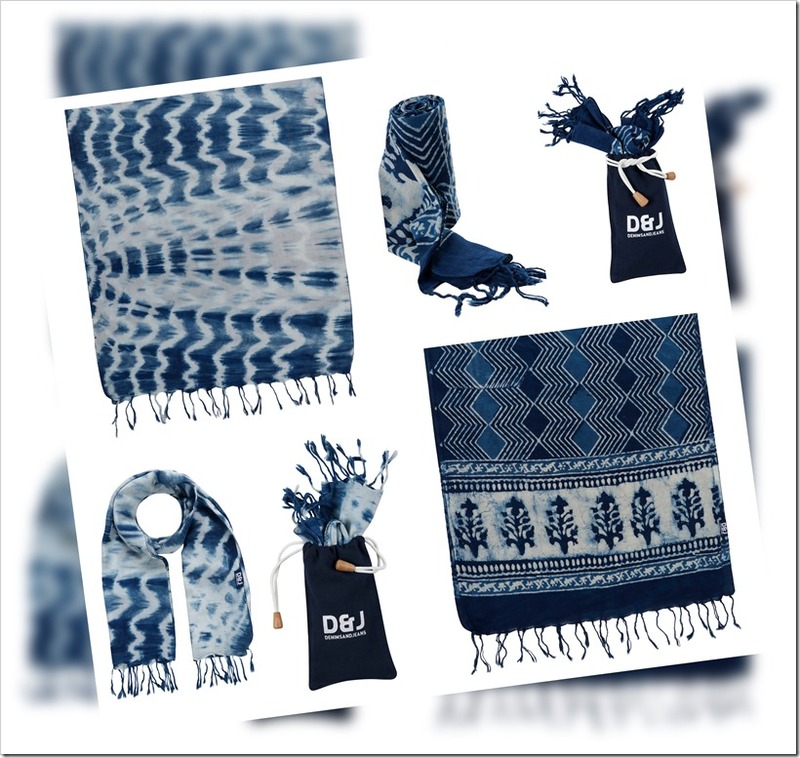 However, there is a resurgence in the interest in the natural indigo and going over next few years we are likely to see much more manufacturing being done with Natural Indigo. 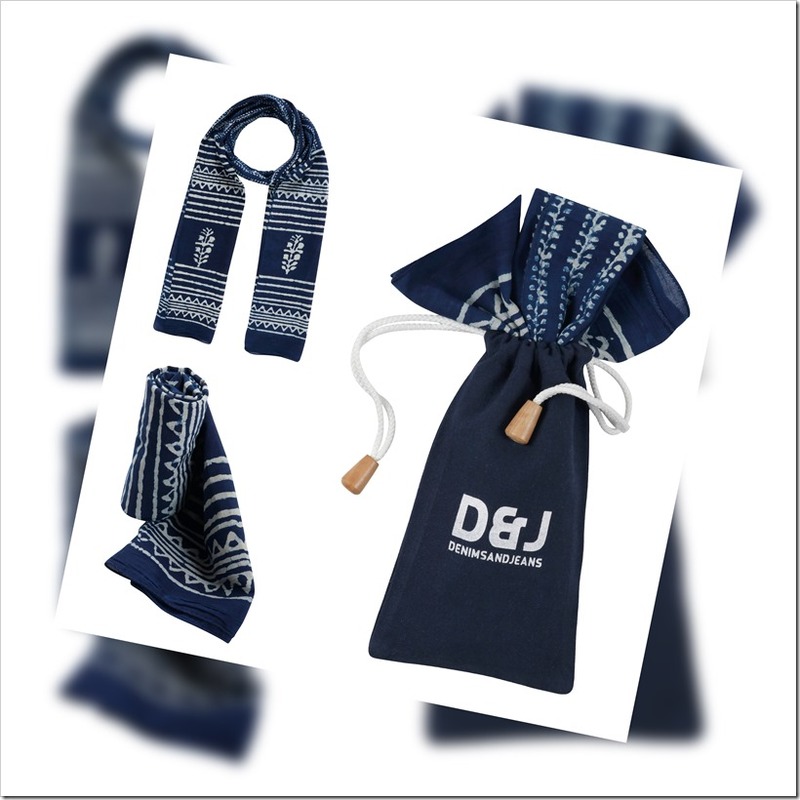 The scarves will come out with a small presentable pouch (also blue color !) and in different designs. 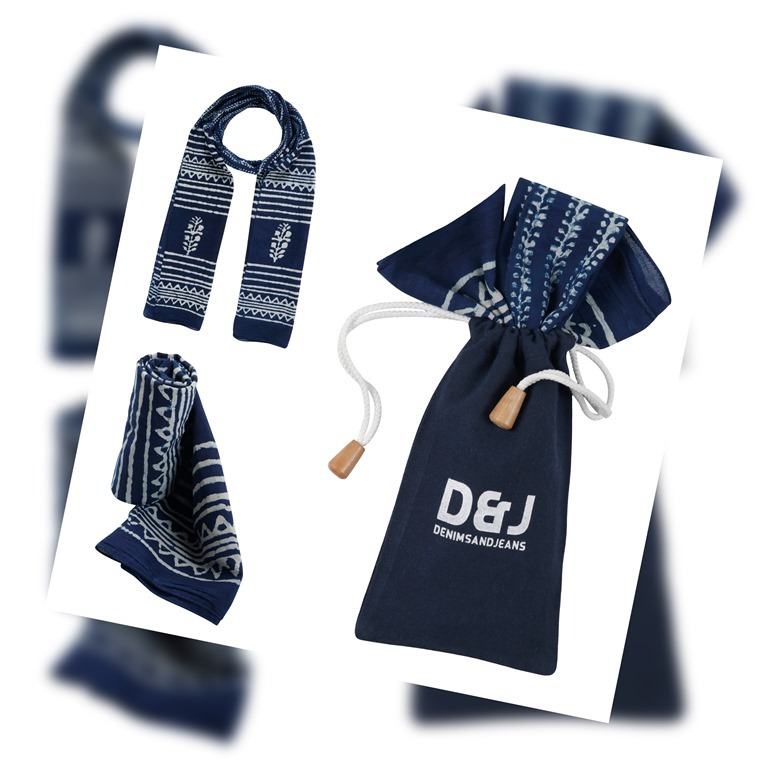 An excellent gift for someone who loves Natural Indigo ! As a launch initiative, we are also giving limited number of coupon codes INDIGO9 which will help save $9 – but only for very few numbers. 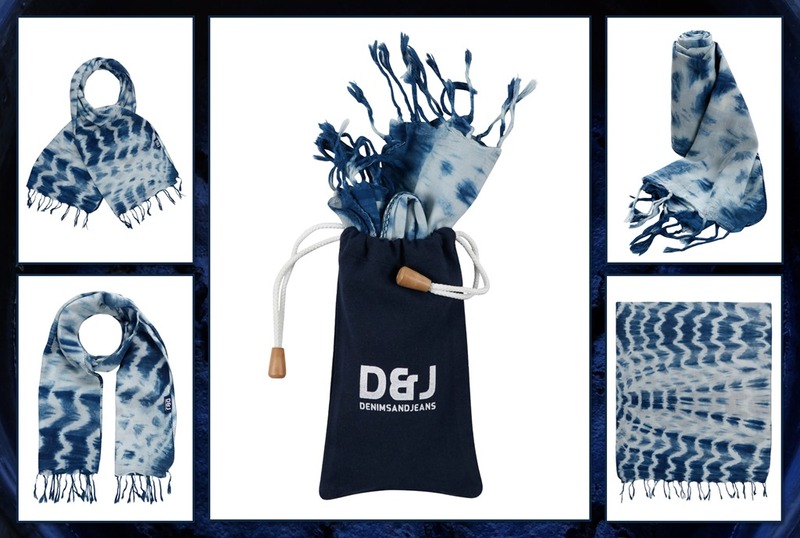 Check out our site at – https://www.shop.denimsandjeans.com and look out for some more surprises ! We will be very happy to receive any feedbacks that you may give us on this new initiative ..